U.S. 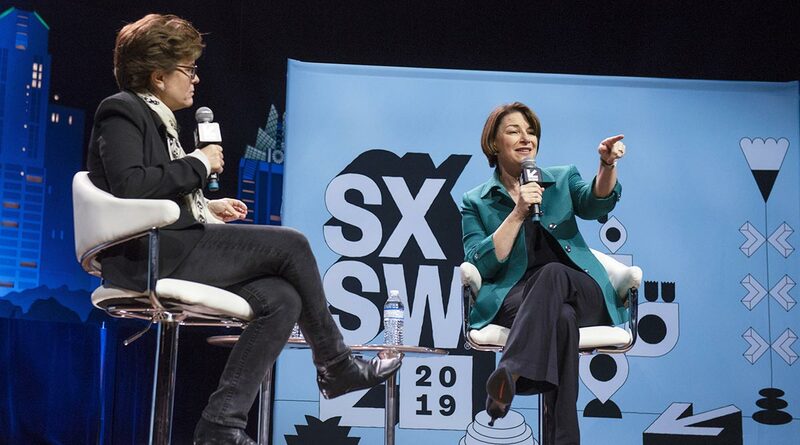 Senator Amy Klobuchar became the first Democratic presidential candidate to release a detailed federal infrastructure plan, calling for $1 trillion in investment and putting pressure on a wide field of contenders to come up with their own proposals. The Minnesota Democrat unveiled the plan on Medium.com on March 28, saying she would raise corporate taxes, provide $650 billion in federal funding and revive a billion-dollar bond program that subsidized states and local governments that borrowed money for roads, bridges and airports. She said she would push to get her infrastructure plan approved in her first year in office. President Donald Trump so far has failed to make headway on his campaign promises to enact his $1.5 trillion infrastructure plan, which Klobuchar called a “mirage.” While the need for infrastructure investment has become a bipartisan issue in Washington, it has stalled amid disagreement over how to pay for such a program. “There’s a pressing need for infrastructure investment, not just roads and bridges, but water, wastewater and airports,” said Matthew Chase, executive director of the National Association of Counties, a group that represents more than 3,000 counties. Klobuchar’s infrastructure proposal calls for $650 billion in federal funding, far more than the $200 billion in federal funds that Trump included in a plan released last year. His proposal was criticized for not providing enough direct federal funding and instead offering incentives to get states, localities and the private sector to generate their own dollars for public works. Klobuchar says she would enact a series of tax changes, including raising the corporate tax rate to 25% from 21% and establish a “financial risk fee” on large banks. President Barack Obama and 2016 presidential candidate Hillary Clinton also had proposed such risk fees. Klobuchar’s Medium post didn’t say how much money the risk fee could raise. Clinton’s proposal would have raised about $50 billion over more than 10 years through a sliding-scale fee averaging about 13 basis points on the assets of large financial institutions, according to a 2016 analysis by the nonpartisan Committee for a Responsible Federal Budget. Chase said it was encouraging to see a Democratic presidential candidate talking about infrastructure this early in the campaign. He said he hopes proposals around the issue emphasize how they will raise revenue for such public works projects. Governments aren’t short on tools that finance infrastructure, like bonding, but they need the money to pay for them, he said. “We want to see a much larger emphasis on the federal government putting in more funding,” he said. Klobuchar would revive Build America Bonds, a program started by then-President Barack Obama in 2009 that gave states and local governments a 35% subsidy for interest costs on taxable debt they issued. If reinstated, it could encourage more sales out of the $3.8 trillion municipal-bond market, which has been starved for debt issuance after Congress curbed a key refinancing tool. State and local governments sold more than $180 billion of the Build America Bonds for public work projects before the program ended in 2010. We haven’t kept pace with the demand for reliable and safe public transportation, particularly for low-income communities. With smart investments, we can bridge the gap. We must invest in public transportation and rail. Klobuchar’s proposal also includes a program called Move America Bonds that would fund tax credits for private companies that make infrastructure investments. Democrats who now control the House of Representatives are seeking to pass an infrastructure package with significant federal spending by late May or early June. Congressman Richard Neal of Massachusetts, chairman of the tax-writing House Ways and Means Committee, has said he hopes any final package will include bringing back Build America Bonds because they worked well under Obama.